In a bowl; combine mustard, oil, and seasonings. Add Brussels sprouts and toss. 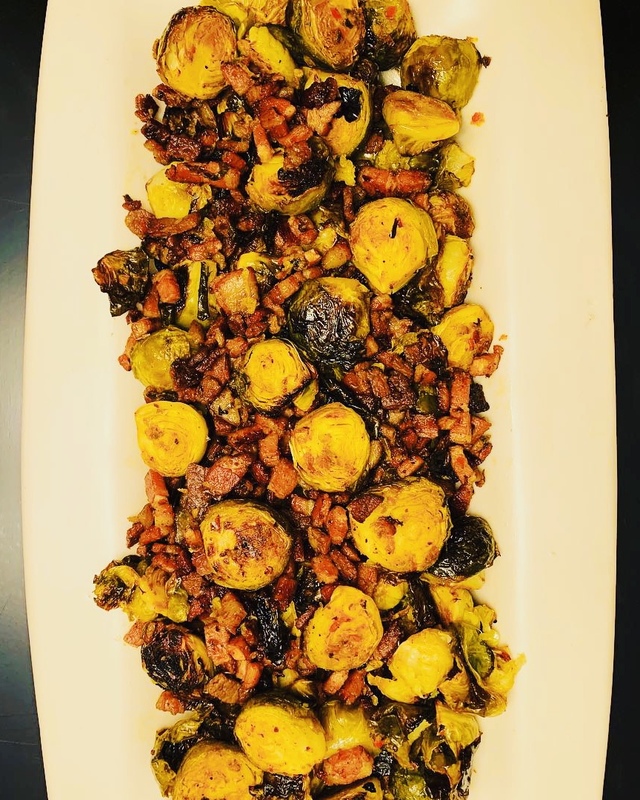 Place glazed Brussels sprouts on a sheet pan and bake for 15-20 min, or until golden brown. While baking, cook bacon until nice and crispy. Combine cooked Brussels sprouts with bacon, and serve.